At Christmas time we celebrate the birth of Jesus, given to bring hope, love, peace and justice to a broken world, but for millions of people this Christmas, peace seems like an impossible dream. Violence and conflict remains the norm for many across the globe, from South Sudan to Colombia. In 2016, more countries experienced violent conflict than at any time in nearly 30 years. If current trends persist, by 2030 more than half of the world’s poorest people will be living in countries affected by high levels of violence. But while peace is broken every day, it is also built every day through the tireless work of peacemakers. This Christmas, Christian Aid is calling for you to stand together with peacemakers around the world who are working tirelessly to bring hope to seemingly hopeless situations. In South Sudan, Bishop Paride Taban is relentless in working for peace in his country where millions of citizens are suffering from hunger caused by years of civil war. 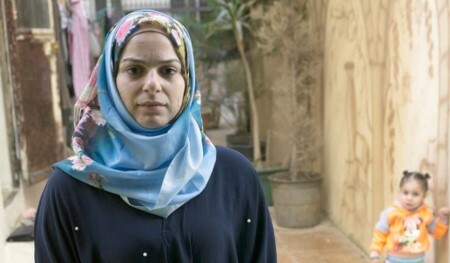 Elsewhere in the shadow of violence and conflict, Diana Abbas (pictured) sows the seeds of peace through counselling and therapy. She is the only psychologist at a children’s centre run by Association Najdeh, Christian Aid’s partner in Lebanon. Thanks to Diana and others at the centre, more children can find peace. Now more than ever, we need peace. With your support, peace is possible this Christmas. Matthew 5 v.9 shows the blessings lie within peace-making – in this world it is up to us to do what we can in our daily lives to help frontline peacemakers like Diana and Bishop Paride. You can be a peacemaker with your donation to Christmas Aid – an appeal to raise vital funds for Christian Aid’s work. It costs just £10 to pay for three young women to attend a community dialogue event that will help them learn about effective ways of reducing crime. £130 could pay for a psychologist to provide one week’s worth of counselling and therapy to young refugees in Lebanon. Blessed are the Peace-makers, for they shall be called the children of God.